Take one look and my blog, and it won't take you long to figure out that I absolutely love flowers and being in nature. I believe that it has a purifying quality that is unlike anything that can be created by man. There is also nothing that helps you to realise that the anxieties and stresses you are having in your life may not be as important as you think they are, that a deep breath in clean air may just be the tonic you need. And so when designing my future home, bringing nature inside the house is incredibly important to me. To being in that peace of mine that you want a home to have. 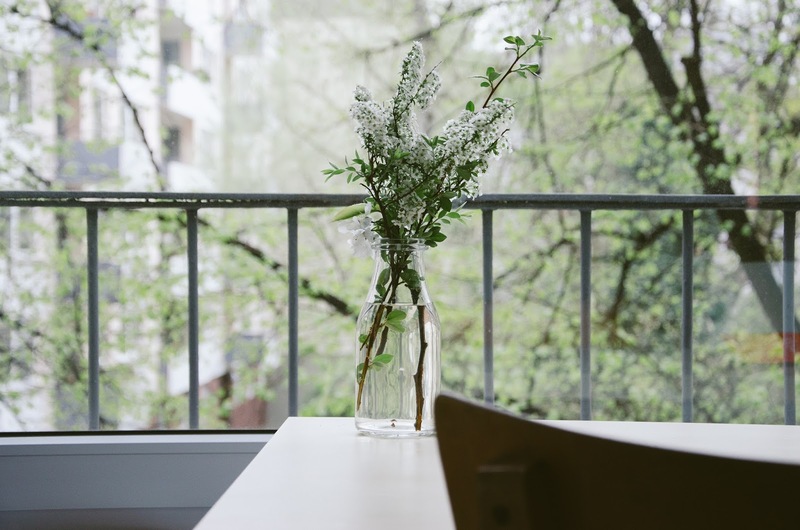 So here are my five top ways to bring nature inside. This one may sound obvious, and I imagine most people have them in their house already, but just in case you missed it. Get vases. Better yet, get lots of them and fill them with your favourite flowers for an instant brightening of absolutely any space. 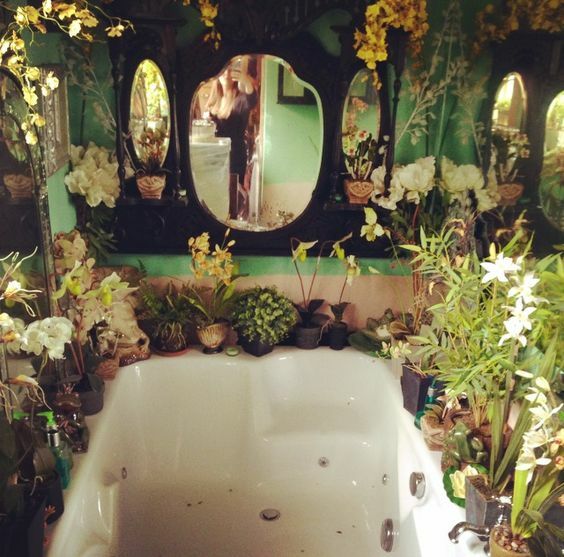 I am not sure people realise just how well greenery fits in with a bathroom. Grab some pots, some greenery, pop it round your bath and you suddenly have the most tranquil space you could hope for! Wood gives a house such a homely feel, and paired with brick you have something that is truly cosy, comforting and welcoming. Herb gardens in your kitchen are not only useful when adding that extra flavour for cooking, but make them big enough and they can become a real (green!) feature of your kitchen. 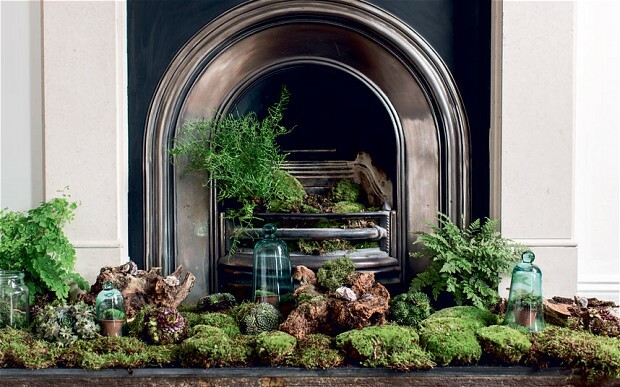 I've noticed a bit of an increase in this lately, but instead of filling your fireplace with a fire or candles, use plants and moss to create a real outside feel that leaves your living space feeling calm and natural.